With over a decade of business in the web hosting industry, Bluehost is among the oldest and most experienced shared hosting providers out there. Though they have recently started offering VPS and dedicated server hosting as well, their forte lies in shared hosting since that’s what they had been focusing on all these years. Reliable, high speed hosting minus any marketing gimmicks is what sets them apart from the rest. They have more than 2 million domains hosted on their servers and if you know how competitive the web hosting industry is, you will realize that it is by no means a small feat to achieve. Bluehost was founded in the year 2003 by a tech enthusiast and serial entrepreneur, Matt Heaton, who is credited with several other startups like SiteTracker, 50megs, SimpleScripts, etc. The company became part of the EIG family, which probably is the largest conglomerate of web hosting brands, in 2011. Bluehost was among the few privileged web hosting companies that formed part of the collaborative learning programs related to web hosting services. But they also had a brief stint with controversy in the years 2009 and 2011 when they had to censor some web pages belonging to certain customers in one instance, and had to completely take down a religious website in the other. Bluehost currently runs their operations from their company headquarters in Provo, Utah and has over 700 full time employees on their payroll. They avoid relying on outside agencies to the extent possible and take care of all their technology and infrastructure related requirements on their own. This gives them the confidence to assert the quality and reliability of their services. They have their own data centers located in Utah. Bluehost for long had been providing one standard shared hosting plan that included everything needed to get you online. But of late, they have also added a Pro package that promises up to 5 times higher server performance compared to the standard plan. So, thus they have 2 shared hosting plans now: Standard and Pro. Their all time favorite, standard hosting plan is actually priced at $7.99 per month but most of the times they have an offer going on that makes it available for a discounted price of $4.95 per month for the initial period you subscribe for. 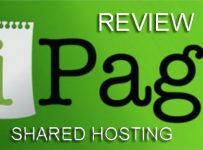 Enhanced cPanel: cPanel is a world popular web based control panel for managing a web hosting account. 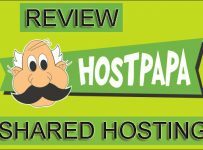 Bluehost shared hosting comes pre-installed with cPanel; so you don’t need to be a geek to manage your hosting. The control panel is further customized to organize the tools into different sections in order to offer easy navigation. It comes with auto-installer script, drag and drop site builder, image galleries, survey software, and lots of other goodies. Domain Manager: Your web hosting control panel will have a separate section for managing all your domains from one place. You can assign new add-on domains, register a new domain, transfer an existing domain, and do so many other things all from your Domain Manager. Access Control: It’s not just that your account control panel is comprised of multiple sections but you also have the option to control access to them separately. You can have different passwords for different areas of the panel like billing, server, cPanel, etc. and if you so wish, you can also have a single master password for all of them. Unique IPs: In shared hosting, you usually get a common IP address that is shared with other users as well. But quite often you may want to have a unique IP address for security, SEO or other purposes. This add-on helps you with just that. For a nominal price, you can get a unique IP address exclusively for your website and can also enable advanced port control. SSL Certificates: If your website involves financial transactions or requires personal information, sensitive data, etc. from your users, then it becomes necessary to encrypt the data for security purposes. In such cases, you may want to go for a Secure Sockets Layer or SSL certificate. Domain Privacy: The free domain that comes with your hosting account does not have domain privacy enabled by default. If you want to have this feature, you should buy it separately. Name, email, address and other details of a domain owner are usually available to the public through WHOIS database. This makes you prone to spam, identity theft, phishing attacks, etc. Domain privacy masks your personal information and keeps it private. SiteLock: This add-on helps you protect your website against malware and attacks by detecting vulnerabilities and fixing them on time. Site Backup Pro: You get the basic backup free with your hosting account. But going for the Pro version gives more flexibility and access to certain advance level features like recovering specific table of your database, specific file or folder from your server, etc. Spam Protection: Bluehost spam protection is powered by the powerful Postini app from Google. It filters out potentially insecure messages and content before they hit your mailbox, and sends them to your review queue. Datacenters: Unlike most hosting companies that co-locate their servers, Bluehost has their very own world class data centers that are fully equipped with redundant power supply, connectivity and other infrastructure. The data centers are connected to ultra high speed fiber network. They also have their own national fiber network. Scalability: Bluehost hosting is fully scalable. Moving along your growth trajectory, whenever you feel the need to upgrade to a higher plan including their VPS and dedicated server hosting, you can easily do so without any downtime; it’s just a click away. Backups: Your account is automatically backed up on a monthly, weekly and daily basis. So, if anything goes wrong, you will not lose the data; you can easily restore it in few clicks. For advanced functionalities, you can opt for their PRO backup. Resource Protection: Websites using high amount of resources affect the performance of all other websites hosted on the same server. To safeguard against this, Bluehost identifies such resource extensive websites and assigns them to isolated systems so that other websites on the server remain unaffected. Content Delivery Network (CDN): To boost the performance of your website, Bluehost hosting accounts have CloudFlare CDN built into them. 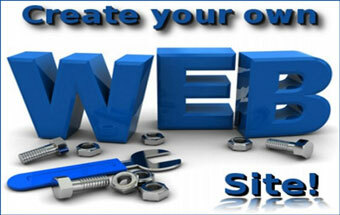 You just have to enable it on your website and you are done. Bluehost offers 24×7 support through phone, email, live chat and the ticket system. In addition to the international phone number, they have a separate toll free number for US customers. Most of the ticket submissions are responded within 30 minutes and latest by 24 hours. 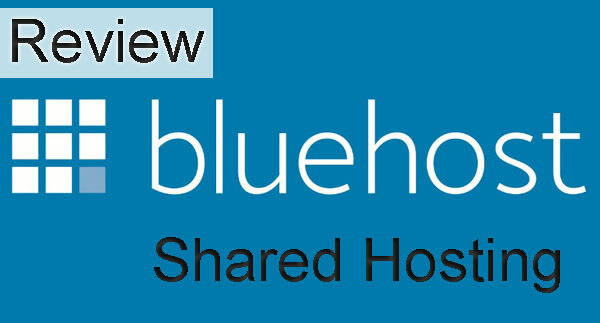 You can use their community forums to get help and tips from other Bluehost users. They also have an extensive knowledge base where you are more than likely to find answers to most of your queries. Bluehost hosting comes with any time money back guarantee. If any time during your hosting period you are not satisfied with them, you can use this as a no-risk exit route. Within the first 30 days you can get full refund of your hosting fees and any time after that you are entitled to prorated refund. With so many features at such an affordable pricing, there is hardly anything more you can ask for. But if you ask me to dig into what’s missing from their hosting, I can think of just one thing: free website transfer. Though they help you with detailed instructions on how to transfer your website on your own, they will charge you if you ask them to do it for you. Experienced, reputed, affordable, reliable… Bluehost has all ingredients that make up a great web host. They are officially recommended by WordPress and Drupal. I have no second thought on recommending them to you.